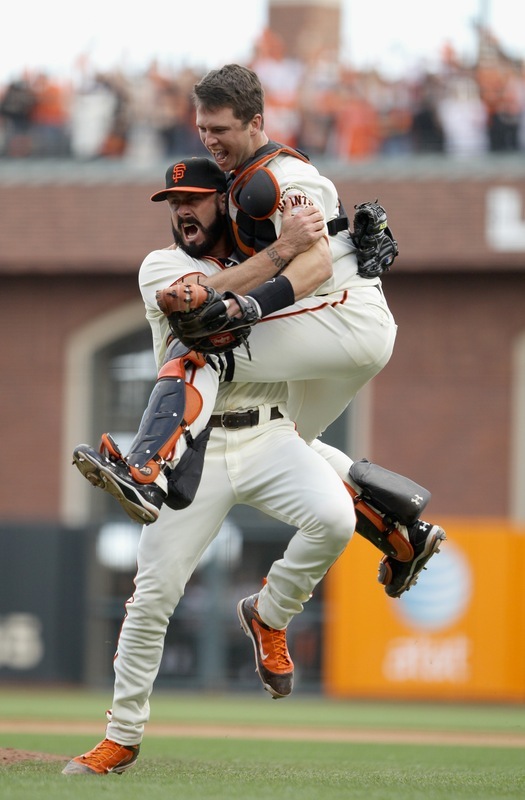 By sports law, I’m not even sure I’m allowed to be writing about the Giants this time of year. A lifelong A’s fan, there’s a part of me that thinks I should just ignore my October baseball jones altogether, listen to NPR and read the New Yorker all night, and completely ignore the Gigantes’ run. Well, that’s just not gonna happen. I’ve been sucked into the KNBR sports machine like the rest of us, and I can’t turn my eyes away. My only saving grace is that I’m only looking at this bandwagon, knowing full well the repercussions of committing the evil sin of actually touching the thing. The SF Giants, who have yet to win a World Series in their 50-some-odd-year history, have found themselves in baseball’s Final Four. Now all they have to do is navigate past the Phillies filthy pitching and Yankees payroll, and the trophy will be theirs. Of course, this is no easy task by any stretch, but if there ever was a team that reminds me of the ’04 “Idiots” of Boston, it’s these Giants. Not far behind The Freak on the popularity scale out here in San Francisco is Brian Wilson. The dude’s beard is just bonkers. Who knows if it’s real or how much Just For Men he puts in it each morning. What is growing in it? What ninja movie is he filming on the side? The questions just keep adding up and never stop. To his credit, Wilson is also very entertaining to watch close out baseball games. He basically refuses to give into hitters and challenge them with fastballs over the plate, instead dragging 9th innings out to torturous lengths in hopes of picking up the save the Wilson Way. Which always turns out to be the craziest way possible. Rounding out the roster is a cast of characters that benefit from the absence of first team all A-Hole Barry Bonds. Kung Fu Panda Sandoval is always a blast to watch wobble around, Juan Uribe’s home run derby hacks are awesome and Barry Zito’s blue New Balance running shoes are always endearing. As much as I hate to say it, look around the clubhouse, and what you’ll see is a motley crue of Gamers who are fun to watch. Not sure what PED test this dude passed? Was “1995 North Carolina at Duke” the best basketball game ever played?